Jessica and Charlie were born at the end of January and proud parents Martin and Julie decided they wanted the twins to be christened. The church had been booked for Sunday 8th of April. The vicar who had married Martin and Julie three years previous was to conduct the ceremony. Martin’s brother was to be godfather to the twins and Julie’s twin sister was chosen as godmother. It was to be a small celebration so only family and very close friends were invited. 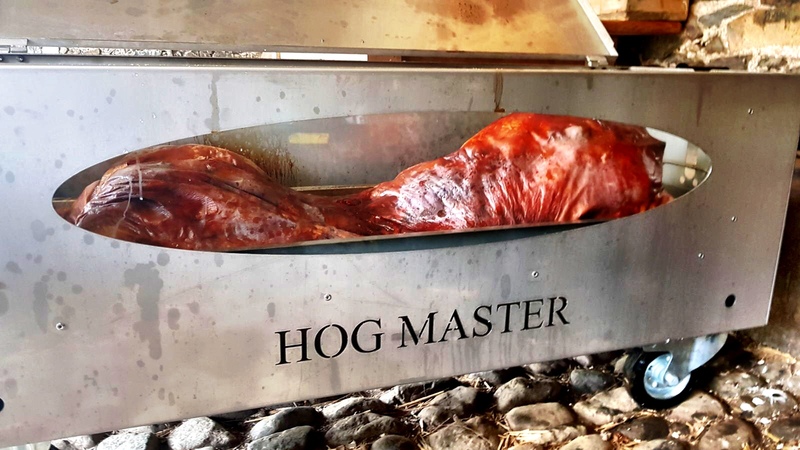 It was a lovely fresh and thankfully dry Sunday morning which was a relief for Martin as he had hired one of our Hogmaster Hog Roast Machines so they could have a BBQ in the garden. Martin had been given a complete run down and a training session on how to use the machine and felt confident after that he knew how everything worked and he was very excited about being able to cook perfect meats for everyone. 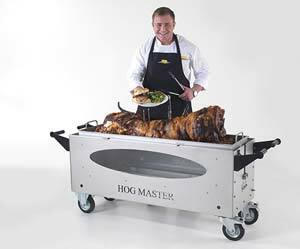 Hog Roast Machines would be at the end of the telephone if Martin needed any kind of assistance. Julie prepared a lovely salad and a variety of pasta dishes for those who were vegetarian. Burgers, sausage and ribs were the obvious choice for a BBQ but we gave Martin suggestions of different cuts of meat that would be perfect to cook on the day. Pork was suggested so that pulled pork sandwiches could be made. A cut of beef so hot roast beef with onions and horseradish sauce would be a great addition and lamb steaks with mint jelly. Being a special occasion this seemed a classier choice of food for a BBQ. Julie’s mum made a selection of desserts. Trifle, cheesecake and chocolate fudge cake were her speciality. The christening went without any hitches and both Jessica and Charlie took everything in their stride. A family friend was the photographer and took some lovely pictures both at the church and at the reception. Martin started cooking the meats with confidence and the different flavours from the meats gave off a fantastic smell. Everyone tucked in and commented on how wonderful the food tasted. 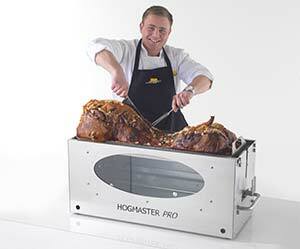 Martin and Julie were overjoyed at how well the day had gone and how easy the Hogmaster machine was to use. 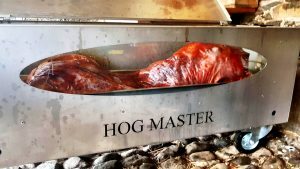 Hog Roast Machines were delighted at how well the day had gone for the family.